At Slotter we believe that we have a responsibility to you, our players. For most people, gambling is an enjoyable and exciting hobby and they will not encounter any problems while pursuing this past time. However, some people do find it difficult to control their spending and gambling and this can easily develop in to a serious problem. Slotter never wishes any of our players to encounter these issues and is committed to helping players play responsibly. If you find yourself experiencing difficulties as a result of playing please contact our support team and we are able to offer a number of options that will be suitable for you to help bring your spending back under control. Permanently deactivate your account at the casino upon written request. Exclude you from receiving any promotional material. Agree with you on set deposit limits on a daily, weekly or monthly basis. Remember that Gambling should be entertaining and fun and not be seen as a genuine way of making money. Slotter advise you to never gamble if you are currently attending any sessions to help you recover from any addictive disorders or dependencies. Our site is not suitable for minors and we will continue to strongly discourage any underage players to attempt to play at Slotter. We undertake appropriate age verification checks to ensure that all of our players are of a legal age to play with us. If you are playing at Slotter on a computer that is shared with a minor we advise you to keep your account details out of view and install child protection software. Anyone found playing at Slotter that is underage will have their account deactivated permanently. If you do have any information of any person who is gambling with us and is underage please contact our Customer Support Team. At Slotter we understand how important it is that our players have the utmost trust in us. Slotter will never share or sell your personal information to another person or organisation and any transactions made are secure and encrypted meaning that your personal details are safe and secure with us. Drop in with our friendly customer support team. Waiting to chat with you LIVE with any questions you have. We’re always happy to help! Slotter is owned and operated by BeSoftware N.V. C-142955, of 7 Abraham de Veerstraat POBox 840 Willemstad, Curaçao, and its wholly-owned subsidiary for payment processing, Adriatik Software As Limited Cheilonos, 2A THE RIVERSIDE FORUM, 2nd floor 1101, Nicosia, Cyprus. 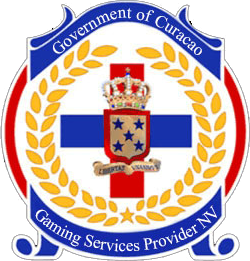 Slotter operates under Master License No.365/JAZ Sub-License GLH-OCCHKTW0701122017, granted by the Government of Curaçao.